Searching through online newspapers is pretty fun. It’s incredibly cool to be able to read thousands of archived newspapers with just a few search terms and a couple mouse clicks. The treasure trove of amazing little hidden gems you never knew existed instantly materializes in front of your eyes, and history magically becomes real. Sometimes you read cool little historical tidbits, sometimes you verify dates and places. Other times you can uncover heartbreaking stories, but occasionally you may discover things that just blow your mind. A few months ago, I was deeply immersed in the vortex that is newspapers.com, and I did a search for my mother’s grandmother. 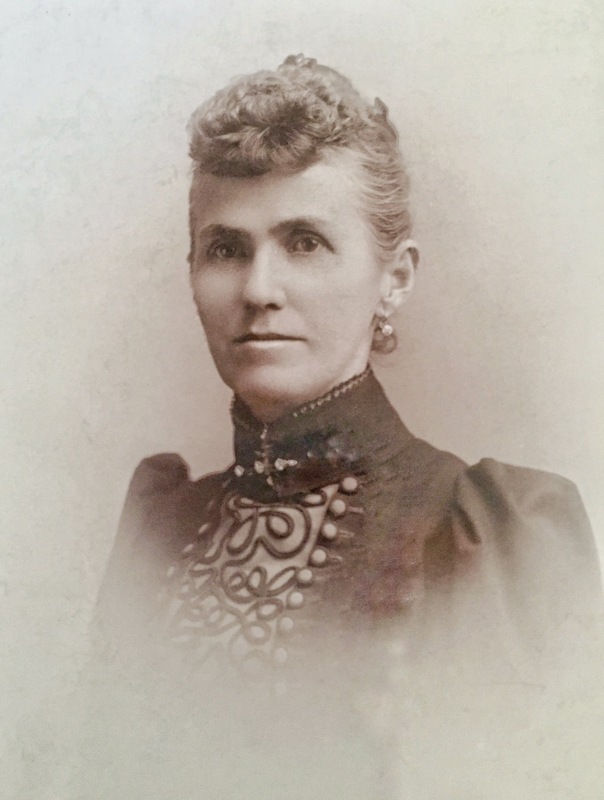 Initially, I didn’t find anything, but then I did a search for her mother, and found her 1900 obituary. In it, my great grandmother, Louise, was referred to as “Lulu.” This simple nickname gave me the one tiny detail—a new idea for an “out of the box” search term—that would open the door to one of my favorite biographical stories so far. HW Caldwell. Image: Julie Dirkes Phelps private collection. Hannah Caldwell, Image: Julie Dirkes Phelps private collection. Hannah Ann North and Henry Wallace Caldwell were married in Indianapolis in 1865. Their first child, Frank, was born in 1866, followed by Oliver 3½ years later. In 1871, they had a third son, Robert, who died the day after his birth. Albert was born in 1873, but before his second birthday, he died of cholera. After Albert’s death, the family moved to Pittsburgh, and then to St Louis. Julia and Lulu Caldwell. Image: Julie Dirkes Phelps private collection. Poster advertising the 1893 World’s Fair. Pinterest. Louise turned 13 in 1893—a very exciting time in Chicago. The Windy City had been busily preparing for the World’s Fair for three years. They had beaten out Washington DC and New York City for the honor, and Chicago was going to pull out all the stops to make it the most memorable occasion in history. On May 1, 1893, the gates opened, and over the next six months, over 27½ million people paid the 25¢ entry fee to visit the White City’s 200+ buildings and exhibits. Lots of “firsts” were introduced at the Fair that year: Cracker Jacks, Hershey’s Chocolate, Cream of Wheat, Pabst Blue Ribbon beer, Aunt Jemima Pancake Mix, and Wrigley’s Juicy Fruit Gum. The first Ferris Wheel made its debut at the Fair that summer, and at 50¢ a ticket, there was usually a line for the 2,100+ seats/standing spots on the 550 foot tall ride. 1893 Chicago World’s Fair, States’ Buildings (Ferris Wheel in the background). Image: Library of Congress. Among the World’s Columbian Exposition’s highlights were the State and Country Buildings. Thirty-six states, four US territories, and 46 different countries were represented that year, each one boasting their own unique sights, flavors, and experiences. Representatives from the new tourist attractions in South Dakota were there, showing off the natural beauty of the Black Hills and the rest of South Dakota. If the lure of Hot Springs, Wind Cave, Sylvan Lake, and Lead City didn’t convince H.W. Caldwell to take his wife and daughters to South Dakota, then Buffalo Bill Cody and his Wild West Show featuring Annie Oakley might have sealed the deal. Advertisement for Buffalo Bill’s Congress of rough Riders, opening Day. The Chicago Inter-Ocean, April 26, 1893. Newspapers.com. 1893 was the height of Buffalo Bill Cody’s popularity. He and his performers had just returned from his “Buffalo Bill’s Wild West and Congress of Rough Riders of the World Show” tour of Europe, and it had been a huge success. He showcased cowboys and Indians, sharpshooters, herds of horses and buffalo, and featured the legendary Annie Oakley and Frank Butler in the show. He knew that the eyes of the world would be on Chicago and the Fair. But Exposition organizers snubbed the showman, and Buffalo Bill was not given a concession within the Fairgrounds. Buffalo Bill at the Chicago World’s Fair, 1893. Image: Library of Congress. Not content to sit out of the biggest spotlight in American history, Bill Cody came up with an alternate plan. Four days before the Fair’s grand opening, he opened his Wild West Show across the street from the 63rd St Fair entrance. For the entire run of the World’s Fair, Cody put on two shows a day, seven days a week, for an entry of 50¢. Shows were packed with eager and excited fans. It was estimated that over 2.5 million attended the Wild West Show during the 1893 season. It’s almost certain that the Caldwells attended at least one of the 338 performances between April and October, and with several female riders who rode their horses astride, and star Annie Oakley as one of the headliners, the girls must’ve been entranced. The B&M Train in the Black Hills of South Dakota. Image: Library of Congress. The next summer, a large party of about 50 friends from Chicago and Omaha traveled by train to South Dakota for an exciting western adventure. They arrived at the Evans Hotel in Hot Springs in early July for a several weeks of sightseeing, mineral baths, horseback riding, adventures, and relaxation. Among the Chicagoans who registered at The Evans Hotel were Hanna Ann and Henry Wallace Caldwell and their daughters, sixteen-year old Julia and fourteen-year old Lulu. By 1894, Hot Springs, South Dakota had become a popular vacation destination. Once the railroads arrived, the beauty of the Black Hills and the relaxation of the area’s natural mineral springs had put Hot Springs on the map. The Evans Hotel, known as “the Evans,” was a destination within a destination. In a town filled with spas, resorts, and luxury hotels, the Evans stood out. The elegant, state-of-the-art, five-story, sandstone hotel had spacious rooms, elevators, electricity, a restaurant, and its own siding for private rail cars. Since many of their friends were engaged in the railroad business, the Caldwells probably traveled to Hot Springs on a private rail car. Many their traveling companions utilized Marvin Hughitt Jr.’s private railroad car for day trips (Hughitt was the VP of the Chicago & Northwestern Railroad). The Evans Plunge in the 1890s. Image: Library of Congress. Hot Springs offered many attractions for visitors during the 1890s. Shopping, live entertainment, parties, concerts, card tournaments, day trips by rail, coach, and horseback, and, of course, the waters. Balneotherapy was all the rage in the 1890s. The Evans Plunge offered a variety of spa treatments and services in addition to swimming, lounging, and relaxation in the naturally warm and refreshing spring waters. Besides the legendary Evans Plunge, there were other spas, springs, and swimming holes in the vicinity for guests to enjoy. One popular outing enjoyed by the group was a day trip to Lead City and Deadwood. Over forty members of the Chicago and Omaha party boarded the Hughitt private railcar and visited the nearby mining towns on the Freemont Elkhorn & Missouri Valley railroad line. Their first stop was in the legendary mining town of Deadwood. They spent the morning touring the Deadwood Reduction Works and exploring the shops downtown. The women were impressed with the size of Deadwood’s retail establishments and the quality of merchandise offered for sale. Many of them expressed an interest in returning to Deadwood before heading back to Chicago or Omaha. After lunch, they boarded the “Scenic Wonder Line” of the Fremont, Elkhorn & Missouri Valley Railroad headed for Lead City, a route said by travelers at the time to rival the picturesque scenery of the Alps. At the Homestake Mines, they took an extensive tour where they learned all about how gold is mined, and they were shown the process it goes through once the ore comes out of the ground. After a full day of tours, the Black Hills & Fort Pierre Railroad took the party over the infamous crooked bit of track that runs through the Black Hills’ unique and picturesque landscape to Piedmont, where they connected with the FE&MV for the return trip to Hot Springs. Throughout their stay in Hot Springs, the women held several progressive euchre tournaments with an array of prizes. On at least two afternoons, twenty-eight women gathered for tournaments in which prizes such as hand-painted china were awarded to the winners. At one of the tournaments, Lulu won the ladies’ booby prize (I’d love to know what it was!). Entertainment was provided during the tournament, and refreshments were served. Participants and spectators had a wonderful time and thanked the organizers for their hard work and preparation. Henry Wallace Caldwell was an expert horseman. At the age of eighteen, he had left college to join the Kentucky Cavalry to fight for the Union Army. During his short enlistment, he was highly commended for his gallantry and conduct, and was admired by both military and civilian leaders. Following the Civil War, he taught his children how to ride. He knew how to handle horses safely and effectively, and wanted his children to learn proper horsemanship skills. Although most middle and upper class women rode sidesaddle in the 1890s, HW knew that riding astride gave the rider better control of the horse. Regardless of what others thought or said, he took his daughters’ (and their horses’ ) safety and well-being seriously, so he taught them to ride “man style.” Since the clothing of the time prohibited girls from being able to do this easily, he allowed and encouraged Julia and Lulu to wear divided, or bifurcated, skirts— a very bold and controversial choice for 1894. The Evans Hotel, Hot Springs, South Dakota. Image: Library of Congress. Example of an 1895 bifurcated riding habit, probably like what Lulu wore in 1894. On Friday, July 27, 1894, the Hot Springs Weekly Star reported on a notice posted at the Evans regarding an upcoming riding contest. The notice invited all young ladies who owned divided skirts to compete in a hotel-sponsored riding contest sponsored. A first and second prize would be awarded to the two young ladies who displayed the best riding skills— while riding astride. Man-style. The “expert riding master” and former cavalry instructor, H.W. Caldwell, would give lessons and explain the contest requirements to all ladies interested in participating. The only prerequisites needed were to have a bifurcated shirt, and to apply to Mr Caldwell in advance. Practice would take place every morning before breakfast, and again nightly from 6:30pm until dark (except Sunday). The competition would take place on Monday, July 30th at 6:30pm in front of the Evans. Everyone was invited to come and watch the girls exhibit their skills and proficiency. In 1894, the notion of teenage girls wearing split skirts could’ve gone over like a lead balloon—after all, Victorian, tailor-made dresses with gigantic sleeves, cinched-in waists, and flowing skirts were the fashion. Tight lacing corsets were necessary to achieve the stylishly itty-bitty waistlines that defined the fashionable woman. Girls never wore pants or bloomers, and the bifurcated skirt was only worn in small, urban, bicycling circles. Some cities had even passed ordinances banning women from wearing bifurcated garments in public. But a 14-year old visitor from Chicago was shaking things up in Hot Springs! Downtown Hot Springs during the 1890s. Image from the Library of Congress via Pinterest. The riding contest could have been the highlight of the trip for the girls, but the real memories were still to be had. Lulu, Julia, and their friends had proven their exceptional horseback riding skills. Next, they would be given the chance of a lifetime to put those skills to use on an epic trail ride that would take them through some of the country’s most beautiful landscape to the top of the highest summit in the Black Hills. On the afternoon of July 9, 1894, a group of young ladies departed from the Evans on their horses for an epic adventure. HW Caldwell led the party of young ladies, including Lulu and Julia, Avis and May Blodgett, and May and Anna Wait on the adventure of a lifetime. Two teenage boys from Omaha joined them— Lee Mcshane and his tall and handsome 17 year old friend, Dwight Swobe. The first night of the trip, the party rode two hours to Wind Cave, where they were met by the Stabler family at the hotel. During the previous decade, Wind Cave had been made popular by the McDonald family, a family who had managed the mining claim near the cave’s opening. After a few years of giving tours, extensive exploration, and renovations to make the cave accessible to tourists, they had teamed up with the Stabler family to build a hotel. It had become a popular tourist destination, and the curious whistling and directional change of the wind at the mouth of the cave was a spectacular natural wonder. The party excitedly toured the cave, and then enjoyed a home cooked supper of spring chickens. They sang songs and laughed until they were exhausted and ready for bed. The girls paired off and headed off to their well-aired rooms, separated only by cheesecloth. At 6:30 the next morning, they had a hearty breakfast at the hotel, and then departed for the town of Pringle. At the train station in Pringle, they met the 9am B&M carrying Mrs Caldwell, Mrs Wait, Mrs Blodgett and Mrs Lomax and her daughter, Mildred. The large group feasted on an abundance of milk, cream, jam, pickles, bread, coffee, cake, and honey “at the only house that bid fair for a lunch” before departing for Custer City. The mothers joied the party, but not on horseback. They followed along on the stagecoach. The Kleeman House, from the Black Hills Souvenir: A Pictoral and Historic Depiction of the Black Hills. Their next stop was Custer City, about 18 miles from Wind Cave. The mayor of Custer, along with most of the townspeople, excitedly welcomed them. Rooms had been reserved at the elegant Kleeman House, a beautiful 12-year old hotel that featured large rooms, an office, and a parlor. The hotel also boasted a bar room with an impressive list of whiskies, wines, brandies, cordials, bottled lagers and cigars. The hotel’s second floor balcony allowed guests to enjoy the fresh air and a beautiful view in comfort and style. In addition to the Kleeman House’s reputation as Custer’s finest hotel, it also had the honor of having been host to a number of famous guests, including Buffalo Bill Cody. After the Caldwells and their friends registered, they freshened up from their morning ride, had a bite to eat in the hotel’s dining room, and then the girls explored the town. Later in the evening, a banquet was held at Mayor Webster’s residence in their honor. After dinner, they returned to their rooms at the Kleeman House, exhausted from a long and exciting day. The Sylvan Lake Hotel near Custer, after it was completed in 1895. Image: Library of Congress. Bright and early the next morning, the party rode out of Custer, followed by the stagecoach of moms. As they rode along the trails through the valley to Sylvan Lake, they were delighted by the fresh air, and the beautiful trees, flowers, and rock formations of the Black Hills landscape. It was awe-inspiring; like nothing they’d ever seen before. The winding trails and wide-open landscape made for a beautiful, enjoyable, and challenging adventure for the girls. Sylvan Lake, now part of Custer State Park, had just been completed, and a grand hotel on its banks was under construction. The three-story, 60 room, Victorian-style hotel was being built on the south shore of the lake near the dam. The hotel wouldn’t be finished for another year, so the party experienced their first night of “roughing it.” Since the hotel didn’t have enough completed rooms for everyone, they split up and spread out. Some of the travelers spent the night in the unfinished hotel, some set up camp in a tent, and the rest were offered accommodations in Charlie Crary’s cottage. Harney Peak, near Custer, South Dakota. Image: Library of Congress. After a good night’s rest, everyone mounted trained ponies and burros for a day trip up the trail to Harney’s Peak. They wound through the woods, down steep paths, up steep paths, and over rocks. They rode past the Needles, reaching hundreds of feet high into the air, and through Cathedral Park and its pine trees and stone formations. When they reached the top, they stood in awe of what they proclaimed to be the most beautiful vista in America, and marveled at the panoramic views of South Dakota, Nebraska, and Wyoming. Late that afternoon, they returned to Sylvan Lake for the night. The B&M Railroad near Hot Springs. Image from the Library of Congress. Most of the group returned to Chicago and Omaha in the second week of August, but the Caldwells had enjoyed the company of their friends so much in South Dakota that they extended their trip for an extra week. At the end of August, the HW Caldwell family returned to Chicago, and real life. Undoubtedly, they returned to the city with enough stories of their western adventure to last a lifetime. Whether Lulu and Julia told their kids about the trip or not, I don’t know. I’d never heard about it until I read the stories about it in the archived newspapers 122 years later. Oh, and one more thing! Remember those two teenage boys who accompanied HW and the girls on horseback on their epic trip? Lee McShane was the son of a family friend, and his tall, good-looking friend, Dwight Swobe, went along with them. Twelve years after they traveled 120 miles on horseback across the Black Hills of South Dakota, Louise Caldwell and Dwight Swobe were married in the Redlands, California. On May 8, 1906, Lulu Caldwell became Mrs Dwight Milton Swobe. Louise and Dwight had three children: Tom, Julia, and Nedda. Julia was my grandmother. Dwight and Louise took their children on many epic adventures of their own, and I’ve got some fantastic pictures to share! Stay tuned! Hot Springs: After researching Hot Springs, I want to go! It looks like a great little town that is so close to some pretty places. According to Trip Advisor (my personal travel bible— check us out on Trip Advisor at P5_Crazy_Train) there are tons of things to do in Hot Springs and the vicinity. The Mammoth Site, Evans Plunge, the Pioneer Museum, Cascade Falls and Swimming Hole… This is definitely a Bucket List location! The Evans: The Evans Hotel was once one of the most popular of all of the upscale resorts in the spa town of Hot Springs. Over time, the craze over healing waters died down, and hotel occupancy waned until it stood vacant. In 1977, a fire nearly destroyed the Evans, gutting the interior and leaving visible char-marks in some places. In 1979, it was remodeled and converted into apartments for the elderly and disabled. In 2010, it was updated again. The historic Evans boasts a 97% occupancy rate of its 85 apartments. ings. Over 5,000 gallons of natural spring water a minute flow into the pool, refreshing it entirely every 90 minutes. The water is a steady 87 degrees F, and is only treated minimally with chemicals. I wrote all about taking the waters in my other blog a few months ago, and I don’t know about you, but I still have a strong urge to take the waters right about now…. They have more than just the indoor spring-fed pool too! Entrance to Wind Cave National Park, US Park Service. Wind Cave National Park: During the 1890’s the McDonald family (the original homesteaders/mining claim managers/claim jumpers/squatters) and the Stabler family (their investors/partners/hotel builders) began arguing over the ownership of Wind Cave and the hotel. Then, Peter Folsom of the South Dakota Mining Company got involved and made an ownership claim. Everyone was suing everyone over the rights. In 1899, the Department of the Interior decided that since no successful mining or homesteading had actually taken place, none of them had any legal rights to the land. In 1903, Theodore Roosevelt created Wind Cave National Park, the eighth United States National Park, and the first national park created to protect a cave. The old hotel is gone. The Kleeman House today. Photo: VIP Properties, Listing Agent, Stephanie Lien. Kleeman House: The elegant Kleeman House Hotel opened in 1883 in Custer, South Dakota. The elegant hotel had a balcony, a bar, a parlor, and a dining room. The Kleeman House was built by Paul Kleeman a German immigrant who settled in South Dakota in the 1870s. It was a popular spot for tourists visiting nearby Sylvan Lake and Wind Cave, and offered stagecoach services to the attractions. The Kleeman family sold the hotel in the 1920s, and it changed hands several times and sustained a few different name changes until it was condemned in 1991. It sat vacant until 2012, when it was purchased, fully renovated, and restored. It is currently offered for sale, and it is absolutely gorgeous! If anyone snaps it up, please let mw know and we’ll be your first guests! If I had $850K— and if I could tolerate weather below 50 degrees— I’d consider it myself! The interior pictures are TO DIE FOR! The “new” Sylvan Lake Lodge. Sylvan Lake Hotel: The beautiful Victorian-style Sylvan Lake Hotel was completed one year after the big horse trip— July 1895. It became a big success and destination because of its beauty and its convenient location to Harney’s Peak. 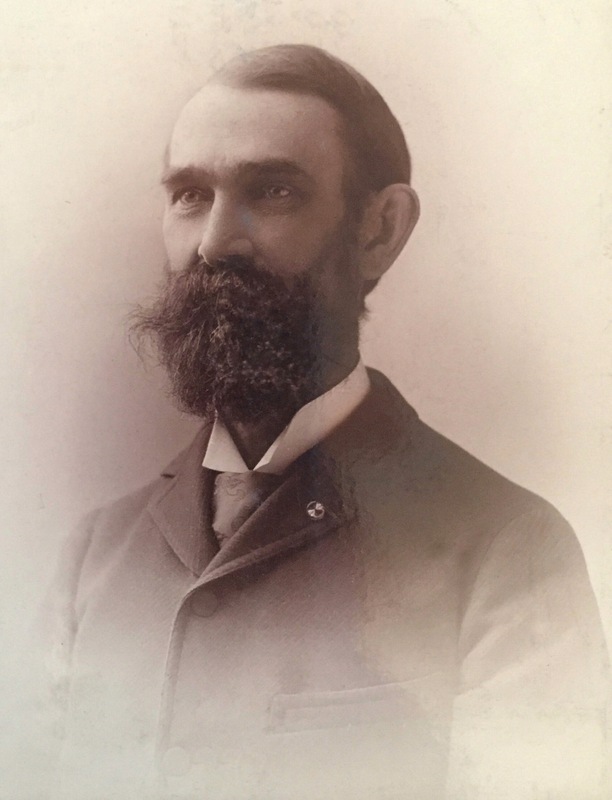 Charlie Crary, the man who provided accommodation in his cottage to some of the Caldwell party, ran a stagecoach “shuttle” up to Harney’s Peak for a few years before leaving the area. The original hotel burned down in 1935, and the current Sylvan Lake Lodge was built in its place in 1937. Harney Peak: Today, Harney Peak is a popular hike from Sylvan. It’s about 3.5 miles, and you go up some steep elevation to the highest point in the Black Hills, and it has been the site of many historic events. The Lakota Sioux consider it to be a sacred spot, and I can totally see why—it’s beautiful. In the 1930s, the CCC built a fire lookout at the top. Burros aren’t used to transport people to the top anymore, but everyone who has made the hike says it’s well worth the exercise! Deadwood: Anyone who has been aware of pop culture over the last decade has heard of Deadwood! But, the Deadwood depicted by HBO wasn’t the same Deadwood the daytrippers visited that summer in 1894. It seems that the infamous Al Swearengon was in Deadwood that summer, but probably not on the same side of town. Seth Bullock and Sol Star’s hardware store burned down in the Deadwood fire a month after the Caldwells’ visit. Today, there’s a whole bunch of great museums and other things to see in Deadwood. Definitely a bucket list place. Lead City: Lead City, pronounced LEED, is also a great place to visit today, even though the mines aren’t productive anymore. My parents actually went there last summer. There are some great museums in town and it’s close to Mount Rushmore (as are the other towns and cities I’ve discussed here) and lots out beautiful outdoor things to see and do. The book, The Black Hills Souvenir: A Pictoral and Historical Description of the Black Hills by John I Sanford (1902) was an invaluable source of information in researching this article. As always, Newspapers.com and ChroniclingAmerica.loc.gov made digging through archival newspapers much easier and much more fun (and I sneezed a lot less than I used to in library basements!). I want to extend a special thanks to Peggy Sanders, author and Fall River County, South Dakota history expert. Peggy has written books on South Dakota, and she’s just a super nice lady. She was a great help to me, and I’m really looking forward to heading up to Hot Springs one of these days so I can (hopefully) convince her to give me a personal “insiders” tour! If you want to know more about Hot Springs, Fall River County, the Black Hills, Custer County, and/or Wind Cave, click here so you can order one of Peggy’s books. © Julie Dirkes Phelps; Photographer, Author, Researcher, Archivist, and Storyteller. © Copyright 2016. All rights reserved. No part of this publication may be reproduced, distributed, or transmitted in any form or by any means, including photocopying, reposting, or other electronic or mechanical methods, without prior written permission. Be cool, don’t plagiarize. If you want to use something, just ask me. I try to make sure to attribute all images to the appropriate sources, but sometimes I get mixed up or inadvertently leave something out. Please email me at itsabeautifultree@yahoo.com with any corrections or concerns. Thanks. What a great story! You did a fabulous job telling about quite an adventure. Thanks!!! I had the BEST TIME investigating it. Now I have to figure out how to get up to Hot Springs to look through their archives because I’m sure they have treasures that aren’t digitized yet, and the museum there is closed for the season! What a great story! She sounds like a very cool woman. Thank you for sharing this story. I wanted to let you know that I have included it in my NoteWorthy Reads post: http://jahcmft.blogspot.com/2016/01/noteworthy-reads-25.html. Thank you so much!!! All of Louise’s and Julia’s descendants were so surprised at this serendipitous discovery. None of us had any idea! We didn’t even know that Louise had been called Lulu! I’ve been messaging, emailing, and talking with some of my closer cousins and distant cousins, and we’re all amazed that this family story never trickled down to us. I really wish there were pictures! Thanks for including me in your NoteWorthy Reads! How exciting! Thank you! Hey, I really loved reading that. I can’t believe you found all those details just through local newspapers! What a treasure trove! It’s amazing what you can find with a little time and determination…..and LUCK! I’m really looking forward to going to Hot Springs and the other areas up in that area to look through the local archives. Maybe there are more hidden gems to be discovered!